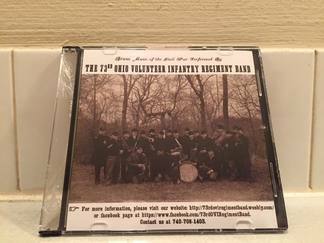 ​​The 73rd Ohio Volunteer Infantry Regiment Band is an organization dedicated to the preservation of Civil War era band music.​The group seeks to entertain and educate the public through various performances featuring period dress and period instruments. A limited number of CDs of our initial EP are still available for purchase! Contact us if interested! Specializing in fine restoration of vintage brass instruments for collections.